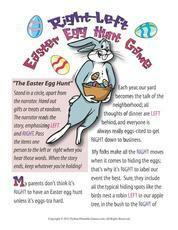 Celebrate spring, lenten season and the Easter holiday with activities and crafts. 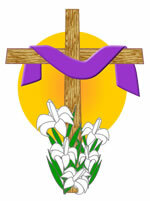 The season of Lent takes place in the 40 days prior to Easter Sunday. 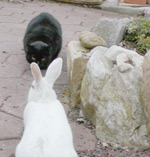 Lent begins on on Ash Wednesday, the day after the final celebration of Mardi Gras, or "Fat" Tuesday. 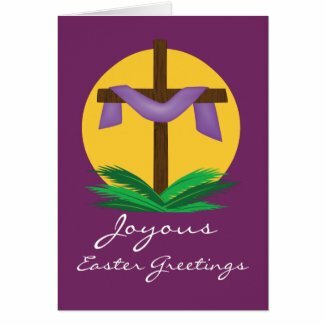 Easter Clip Art for personal or classroom use includes both religious and non-religious illustration graphics and borders. A springtime treat! 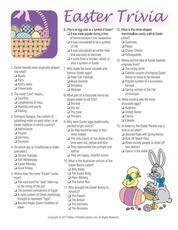 Perfect for post-egg-hunt entertainment. 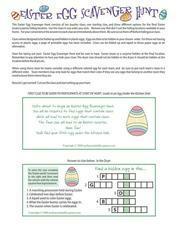 Sample games include "Spring Picture Bingo," great for all ages with sweet, colorful pictures in all the squares; color-and-cut puzzles that kids can make themselves; and coloring pages so kids can color or design their own Easter egg! 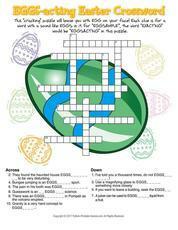 Printable Easter Games are perfect for church school classrooms and families. 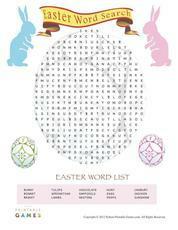 Teach concepts and stories with games like Bible Bingo, Bible Babies Match, Bible Word Find and The Passion Trivia. No software to download or install - print as many as you need as soon as you purchase membership. 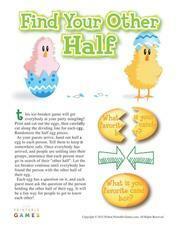 Click here to view the entire collection of Easter printable games!